Are you a fellow writer who lives on a tropical island? blogging about the eccentricities and general absurdities unique to island living. The idea is to give people a peek into what it’s really like, in a humorous voice, to make your home on a tropical island. We also consider this a comedic support group of sorts for island girls. and turn that aggravation into entertainment – for us and for you! You must currently live on a rock. This isn’t Women Who Used to Live on Rocks, after all. Currently, we only accept posts about life on tropical islands. Coconut souls welcome. Humor is key here! Subjects should be written from a funny vantage point. We don’t do promotional posts – this is not a tourism website. This is for entertainment only. Posts that do best on our site are focused on widely relatable aspects of island living. Get exposure for your writing! We have a 20,000+ readership & we’ll link to your own blog here (if you have one). 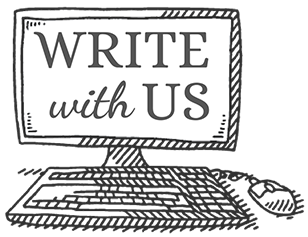 Connect with like-minded souls in our writer’s group & get inspired. Need a cathartic release for your island frustrations? Vent away, girlfriend. Write as frequently or infrequently as you like. It’s just for fun, there’s no commitment. All posts are edited before publishing, so no worries – someone will be checking your work. Want to be anonymous? You’re welcome to write under a pseudonym, if you like. we’d love to have you join us. You can read more details in our post on the subject, We Want Your Island Stories! and email it to chrissann@womenwholiveonrocks.com along with a picture you’d like to accompany it. We’ll get you hooked into the site so you can write whenever the island muse strikes you.